Circa A.D. 450 to 550. 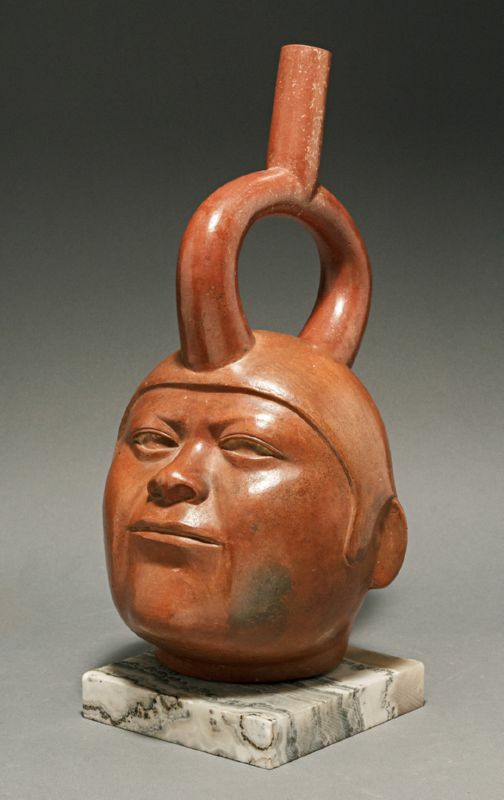 Northern Peru region, Mochica Culture. Provenance: The Sternberg Family Collection of Pre-Columbian Art, acquired by Mr. & Mrs. Lionel Steinberg of Palm Springs, California in 1968.
comparison to most other ancient portrait head vessels from Peru.